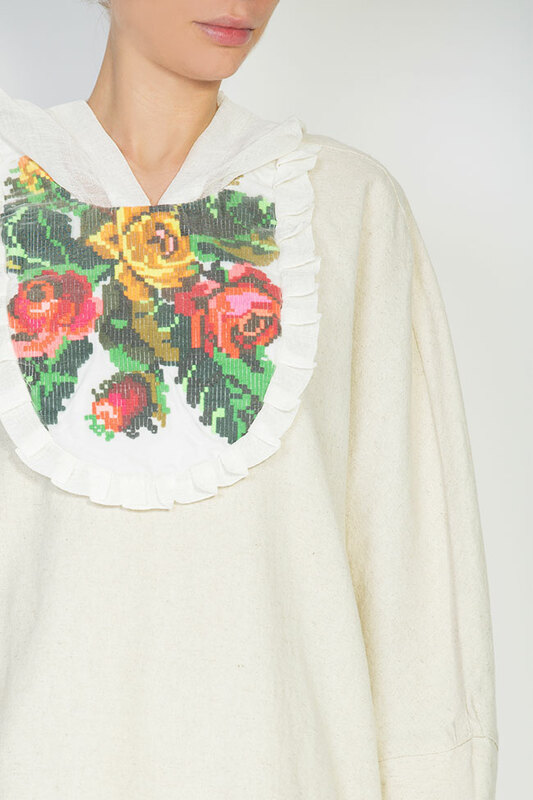 Nicoleta Obis's hooded top is embroidered with floral patterns to resemble the local folk embroiderys. 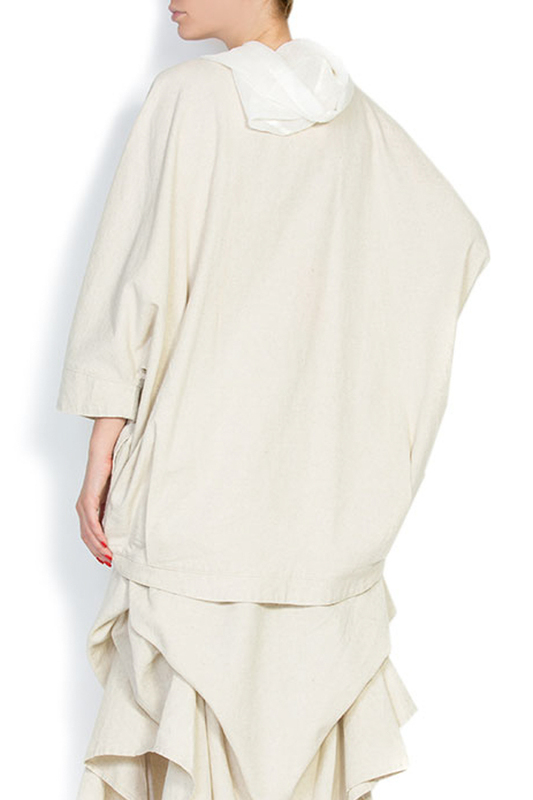 This piece is cut from soft cotton in a loose, oversized silhouette that looks great as a swatshirt. 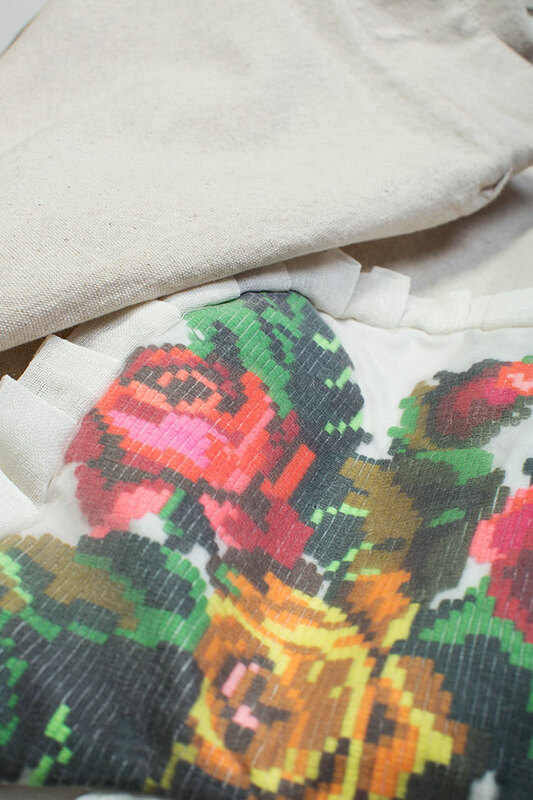 The embroidery is hand-sewn in the 1950s and is covered with silk borangic. Wear yours with the matching skirt. Our model measures are (cm): 87-65-92. 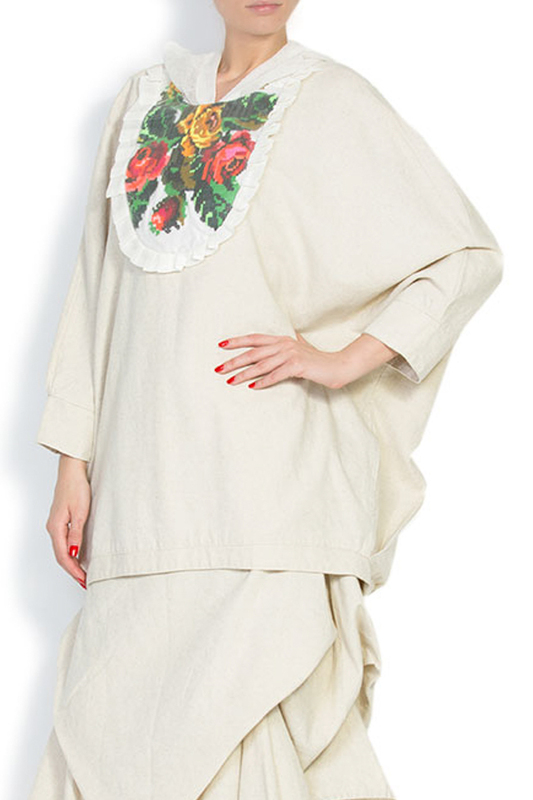 Height is 175 cm and the product shown is One Size.